Hold tools and equipment from 5/8" to 17" in diameter. 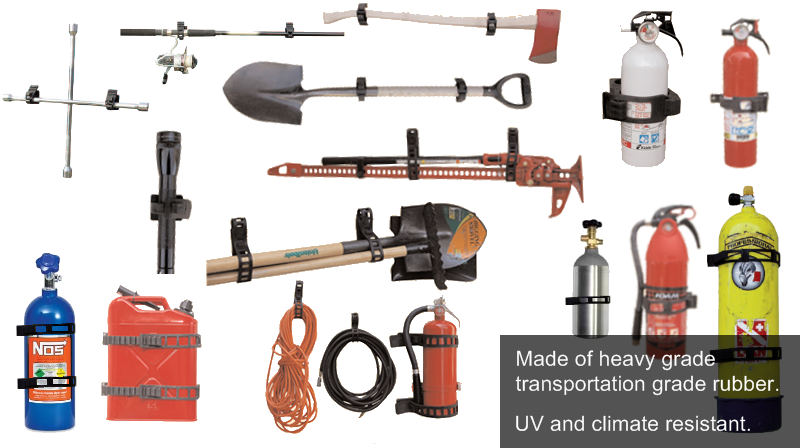 Work great on emergency vehicles, work trucks, off road vehicles, race trailers, military, ATVs, boats and more. Quick Fist is a registered trademark of End Of The Road, Inc.